The first three full episodes of Annie’s journey (“Talking Board,” “Detention,” and “Eddie’s Desk”) form a trilogy set in and around Hope Springs High School in the Phillips family’s hometown of Hope Springs, Colorado. While it wasn’t unusual during Fi’s time for the bus to stop at home for a while (notably for “Medium” as it firmly points the way for Fi and Molly’s emotional story arcs), the only consistent setting the show ever has is the tour bus. This intentional pit stop at a high school represents both the larger cosmic shift in the production of So Weird and a commitment to developing Annie as an individual character within the larger framework of the show. “Detention” is the best of these three episodes as it focuses on a dynamic that definitely needs care in the wake of “Lightning Rod”: Annie and Jack. The episode suffers from not committing fully to the sci-fi nature of the plot—the theory behind the creation of the pocket dimension that traps Annie and Jack in perpetual detention is not unlike the theory behind the “it’s bigger on the inside!” idea of the Doctor’s TARDIS in Doctor Who. (There’s even a stealth pun by using the watches that science teacher Mr. Cox sneaks into the school’s time capsule as a means of entrapping Molly and Steve again: pocket watches for a pocket dimension!) But the episode succeeds as a means of getting Annie and Jack into a room together to hash out their issues. Mainly, Jack misses Fi, and he’s afraid of Annie actually filling the spot of Fi on the bus, particularly since Annie is on Fi’s wavelength in terms of the paranormal. (Jack’s line about Annie picking up right where Fi left off carries a lot more weight in the context of this episode.) For her part, Annie shares similar concerns in her dynamic with Molly, though Carey points out that Molly goes out of her way to make Annie feel good “because I think you make her feel good,” whereas Jack is simply expressing his feelings the only way he knows how: by contradicting the believer, playing the grounded, realistic older brother to the adopted, idealistic sibling. “Eddie’s Desk” is far less successful than either “Talking Board” or “Detention” in part because it’s an episode steeped in the past. Erik von Detten’s Clu returns from college for a visit, and Fi herself plays a (digital) role in helping Annie solve her paranormal problem. Erik von Detten’s return ends up working in spite of itself. Clu, it transpires, has become a philosophy major, which allows von Detten to dig into some deep philosophical dialogue without losing the goofy surfer-boy charm that is and forever will be Clu’s character. There are even stakes for him trodding around the old high school due to a Home Ec incident that started with baking a cake and ended with half-a-dozen fire trucks. Fi, on the other hand, proves to be far too convenient for the episode’s plot. As soon as she reveals the concept of a doppleganger (“a missing piece of a living whole”), the identity of the “ghost” Annie saw in the storage/furnace area of the school becomes abundantly clear: it’s the janitor, Bud, played with the appropriate amount of miserly sad-sack by Disney television vagabond Tom Shorthouse. 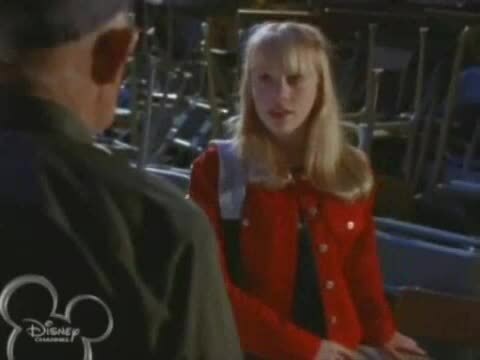 However, Hope Springs High School as a setting represents So Weird‘s efforts to play on Disney Channel’s level. The halls are brightly colored and the plots set here are largely low-stakes (the collapsing bleachers in “Talking Board” are the highest stakes, but the plot revolving around Cassandra’s Oujia board negates any fears one may have about people actually dying); both things represent the larger cosmic shift to the show’s production. The last show of Disney Channel’s early experimentation stage, Even Stevens, premiered in the summer of 2000; in January 2001, Lizzie McGuire and her merchandising empire singlehandedly crafted the brand identity of Disney Channel for the forseeable future. Anne Sweeney, who to this day remains one of the most powerful people in the corporate bureaucratic machinery of The Walt Disney Company, was pushing to expand the Disney Channel beyond the boundaries of the United States. That meant that So Weird‘s dark heart had to go if it wanted to fit in with the rest of the channel’s new programming. It was no coincidence that when Cara DeLizia gave up her spot on the show, the network went looking for a singer as well as an actress, and found a budding young star in Alexz Johnson. All of these moves set the stage for Hannah Montana and Disney Channel’s creation of the tween demographic. 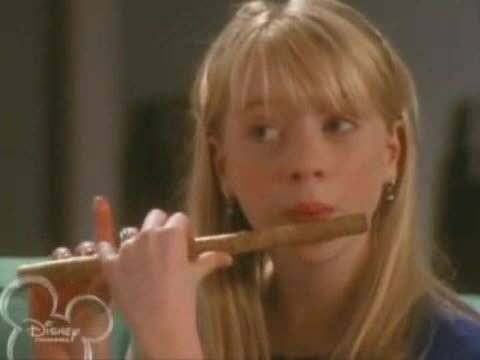 (Though it’s doubtful Hannah Montana ever whittled her own flute on that show.) But So Weird did not give up its dark heart without a fight. Annie Thelan’s story arc and the character-building scenes of “Detention” and “Eddie’s Desk” are proof positive of that. Cameron White is a freelance writer currently residing in Arkansas. He writes about television over on his blog, Wayward Television, and tweets all caps-lock feelings about Grey’s Anatomy, still. His obsession with television was founded in 1996 by The Disney Channel and fostered by his discovery of Firefly in the summer of 2007. His real name is Agent. Well now the whole last paragraph of my thing is ruined. I WAS DOING SO WELL TOO.